Saturday Update: Warner Bros. reports this morning that Batman v Superman: Dawn of Justice easily led the way again on Friday as expected. DC's superhero showdown was off a sharp 81 percent from opening day last week to $15.35 million yesterday, giving the film an overall eight-day domestic haul of $224.42 million. By comparison, the movie is now tracking 24 percent ahead of the pace of Man of Steel, 3 percent behind Iron Man 3, 7.5 percent behind The Dark Knight Rises, and 13 percent behind Avengers: Age of Ultron. BoxOffice is projecting a sophomore weekend tally around $48.5 million. In second place, Disney's Zootopia added another $5.58 million yesterday as it dropped 41.5 percent from Good Friday last week. With a domestic cume of $261.5 million now, the smash hit animated film continues to enjoy excellent legs as it paces ahead of 2014's The LEGO Movie. We're projecting a $19.5 million weekend. My Big Fat Greek Wedding 2 took third yesterday with $3.42 million, off 53 percent from opening day last week. The rom-com sequel has tallied $28.8 million through eight days of play as it looks toward an $11.3 million second frame. Meanwhile, God's Not Dead 2 bowed to $2.95 million yesterday. Unfortunately, the sequel to 2014's faith-based sleeper hit proved somewhat front-loaded on Thursday evening and will fall short of our initial expectations. Look for an opening weekend around $8.5 million, which still dwarfs the pic's low production budget of $2 million. Miracles from Heaven filled out the top five with $2.15 million on Friday, off 35 percent from the same day last week. With a $41.4 million total so far, Sony's latest Christian-themed success is eyeing a weekend figure of $7.2 million. Last but not least, Meet the Blacks bowed to $1.43 million on Friday, about 36 percent lower than the opening day of Fifty Shades of Black earlier this year. Opening weekend should land around $4.1 million. Friday Report: Sources report today that God's Not Dead 2 earned an estimated $400,000 from Thursday night screenings. That's a healthy start for the sequel to 2014's sleeper hit as compares favorably with the $430,000 Thursday launch of February's Risen. Opening weekend should land in the low-to-mid teen millions. Meet the Blacks took in an estimated $200,000 last night, notably under the $280,000 Thursday start of Fifty Shades of Black back in January. The latter opened to $5.9 million its opening weekend, so expect a haul under that for this weekend's opener. Meanwhile, Batman v Superman will easily lead the weekend chart again thanks to a lack of significant competition. Our full report and first weekend estimates will be published Saturday morning. Warner's Batman v Superman: Dawn of Justice grossed $7.74 million on Thursday to lead the daily box office for a seventh consecutive day. 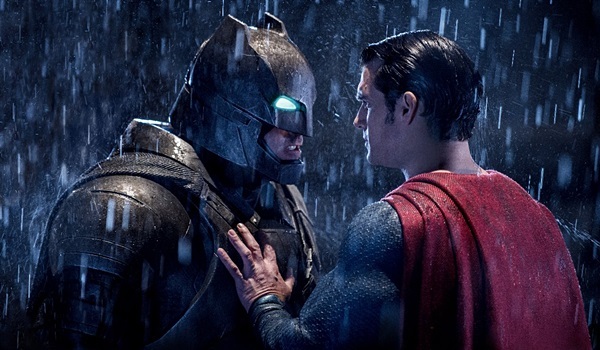 The blockbuster 3D superhero film starring Ben Affleck and Henry Cavill was down 4 percent from Wednesday. Batman v Superman was easily the week's top film with a massive seven-day start of $209.07 million. That represented the eleventh largest seven-day start of all-time. Batman v Superman is currently running 9 percent ahead of the $191.93 million seven-day gross of last year's Furious 7 and 11 percent behind the $235.66 million seven-day start of 2015's Avengers: Age of Ultron. Batman v Superman is obviously widely expected to comfortably remain in first place at the box office this weekend. Disney's Zootopia held steady in second place with $3.20 million. The blockbuster 3D computer animated film from Walt Disney Animation Studios was up a strong 11 percent over Wednesday and down just 29 percent from last Thursday. 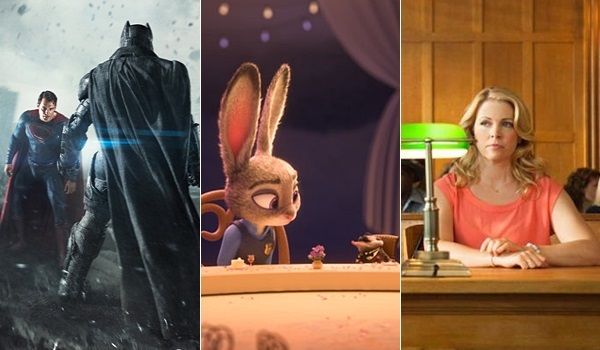 Zootopia placed in second for the week with $38.53 million. That represented a 28 percent decline from the previous frame and brings the film's four-week total to a very impressive $255.94 million. Universal's My Big Fat Greek Wedding 2 rounded out its first week of release with a third place take of $1.63 million. The long-awaited comedy sequel starring and written by Nia Vardalos was essentially unchanged from Wednesday's performance. My Big Fat Greek Wedding 2 finished in third for the week with a seven-day start of $25.36 million. The film continues to run on the very high end of expectations and perform nicely with its modest production budget in mind. Sony's Miracles from Heaven and Lionsgate's The Divergent Series: Allegiant claimed fourth and fifth place with respective daily grosses of $1.09 million and $0.91 million. For the week, Miracles from Heaven placed in fourth with $14.66 million, while Allegiant followed in fifth with $13.55 million. Miracles from Heaven was down 30 percent from the previous week and has grossed a healthy $39.27 million in 16 days. Allegiant was down a very sharp 63.5 percent from the previous week and has taken in a disappointing $50.66 million in two weeks. Friday Afternoon Update: This past week saw Captain America: Civil War lead once again for the second week in a row and third time in four. While its numbers haven't been gaudy over the past month like Deadpool or The Force Returns its been very consistent, even though the big tv spot campaign is not yet upon us. Batman vs Superman opened to ~$170 million last week and while Captain America and his pals might arguably not be on the same level awareness-wise, given the huge successes of the Marvel Cinematic Universe and the fact that Spider-man is joining the fray in this film its not a stretch to say that Captain America 3 will be the first non-Avenger film in the franchise to open to north of $150 million. The Conjuring 2 debuted a new trailer this past week which was received moderately well, reaching 13,391 tweets on Sunday. Sequels to popular horror films don't always bring in big bucks (just look at Insidious 3 or Paranormal Activity 4 which opened to just above half of their predecessors), and I'm a little bit concerned here since it will be hard for it to recreate the buzz storm the original did in the weeks leading up to its release. 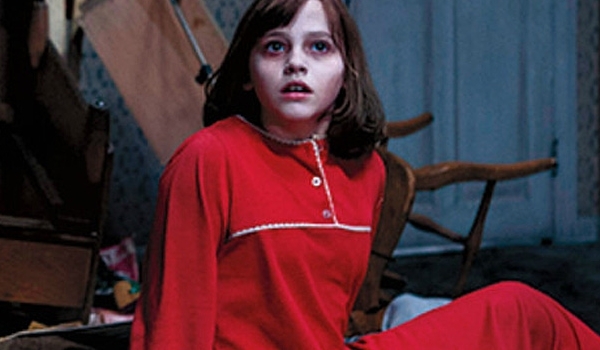 The Conjuring was one of the social media stars of 2013, especially on Twitter where its TV spots generated huge buzz, leading to an opening day of 163,968 tweets which is one of the highest ever for the genre. Warner Bros. reports Batman v Superman: Dawn of Justice added $8.1 million on Wednesday, down 33 percent from Tuesday. That's a somewhat sharper drop than Furious 7's 31 percent Tuesday-to-Wednesday drop following Easter last year. With yesterday's earnings, BvS has now crossed the $200 million domestic threshold in six days with a current total of $201.33 million. That figure puts it off the pace of Iron Man 3 by 2 percent, while also coming in 5 percent behind The Dark Knight Rises and 11 percent behind Avengers: Age of Ultron. The film is expected to easily retain first place at the weekend box office during its upcoming sophomore frame. In second place yesterday, Disney's Zootopia added another $2.88 million -- off just 20 percent from last Wednesday -- to bring its domestic take up to $252.74 million. That stands 11.5 percent ahead of the 27-day pace of The LEGO Movie and 14 percent behind Inside Out. My Big Fat Greek Wedding 2 claimed third place with $1.62 million yesterday, giving it a six-day haul of $23.735 million domestically. The rom-com sequel is successfully counter-programming against the superhero heavyweight. Meanwhile, Miracles from Heaven took fourth place with $1.05 million on Wednesday, giving it a new total of $38.2 million; The Divergent Series: Allegiant capped off the top five with $0.84 million and an updated domestic total of $49.75 million. Warner's Batman v Superman: Dawn of Justice grossed $12.18 million on Tuesday to lead the daily box office for a fifth consecutive day. However, the blockbuster 3D superhero film starring Ben Affleck and Henry Cavill was down a concerning 19 percent from Monday's performance. Yesterday's hold could be a sign of poor critical reviews and mixed word of mouth starting to kick in more now. In comparison, last year's Furious 7 was down just 5 percent on its first Tuesday to gross $13.31 million. 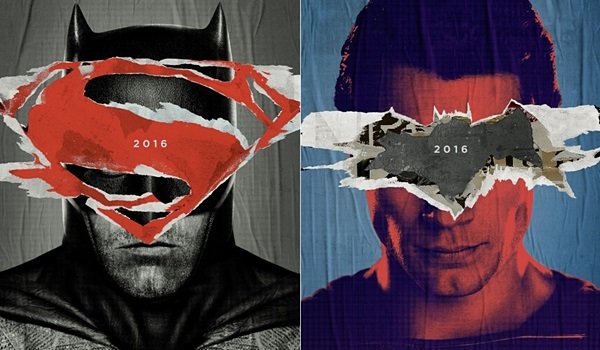 Batman v Superman has grossed $193.23 million through five days of release. That represents the tenth largest five-day start of all-time. Batman v Superman is currently running 11 percent ahead of the $174.51 million five-day take of Furious 7 and 11 percent behind the $217.63 million five-day gross of last year's Avengers: Age of Ultron. Disney's Zootopia held steady in second place with $3.68 million. The blockbuster 3D computer animated film from Walt Disney Animation Studios decreased 22 percent from Monday and a slim 21 percent from last Tuesday. Zootopia is now on the verge of passing the $250 million domestic mark with a 26-day gross of $249.86 million. That places the film 18 percent ahead of the $211.95 million 26-day take of 2014's The LEGO Movie and 14 percent behind the $289.89 million 26-day gross of last year's Inside Out. Universal's My Big Fat Greek Wedding 2 took in $2.23 million to remain in third. The long-awaited comedy sequel starring and written by Nia Vardalos increased 10 percent over Monday. That represented the day's strongest daily percentage hold among wide releases. My Big Fat Greek Wedding 2 has grossed $22.11 million in five days. The film continues to run on the very high end of expectations and perform nicely with its modest production budget in mind. My Big Fat Greek Wedding 2 is running 2 percent ahead of the $21.65 million five-day start of last year's The Intern. Sony's Miracles from Heaven and Lionsgate's The Divergent Series: Allegiant claimed fourth and fifth place with respective daily grosses of $1.45 million and $1.15 million. Miracles from Heaven was up 4 percent over Monday and down 27 percent from last Tuesday, while Allegiant declined 7 percent from Monday and a sharp 54 percent from last Tuesday. Respective total grosses stand at $48.92 million for Allegiant in twelve days and at $37.14 million for Miracles from Heaven in two weeks. Given respective costs, expectations and holding power, Miracles from Heaven is obviously having the much more impressive run of the two films.